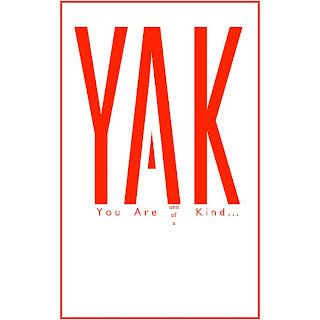 Based in Boston, YAK (You are one of a Kind) Apparel specializes in wool hats and scarfs handmade in Nepal. These fur lined hats are wool on the outside, lined with faux fur/fleece. They are warm and oh so cute! Hats are definitely making a comeback, where is is fashionable to wear a winter hat. I know that I have always struggled to find a cute one! YAK apparel has wonderful hats, that truly keep your head warm while making a fashion statement! "YAK Apparel is a Boston-based clothing and accessories company specializing in wool hats and silk scarves handmade in Nepal. We founded Yak in 2009, after a trip to Nepal in which we discovered talented artisans crafting beautiful, colorful wool hats by hand. We fell in love with the hats, and the wonderful people who made them - and we knew our friends back in the states would too. We sold our first products out of our living room to our friends and family. And as the business grew, we quickly moved from the living room to dining room, to the basement, garage, and finally – a professional warehouse. Today Yak products are sold in more than 2,000 stores all over the United States, and we're still growing. Our mission at Yak is to provide sustainable, fair wage employment to the people of Nepal through the production of colorful wool hats, silk scarves and other handmade accessories that are as unique and beautiful as the people who wear them. Make a statement. Make a difference. Make a Choice. YAK Apparel – You Are one of a Kind"
Enter to win a winter hat from YAK.. the weather is getting cold outside, keep your noggin warm! I like the Gray winter trapper hat! I like the Elegant womens winter trapper hat brown faux fur lining. I love the Rainbow earflap winter trapper hat brown faux fur lining! I like the Beige elegant womens winter trapper hat. The Rainbow earflap winter trapper hat brown faux fur lining would be perfect! winter clothes for women i am going to buy some best clothes for me and i surely want to buy this one. I like the Womens pink black earflap wool trapper hat.